Enjoy the best inspirational, motivational, positive, funny and famous quotes by Albert Azaryan. Use words and picture quotations to push forward and inspire you keep going in life! 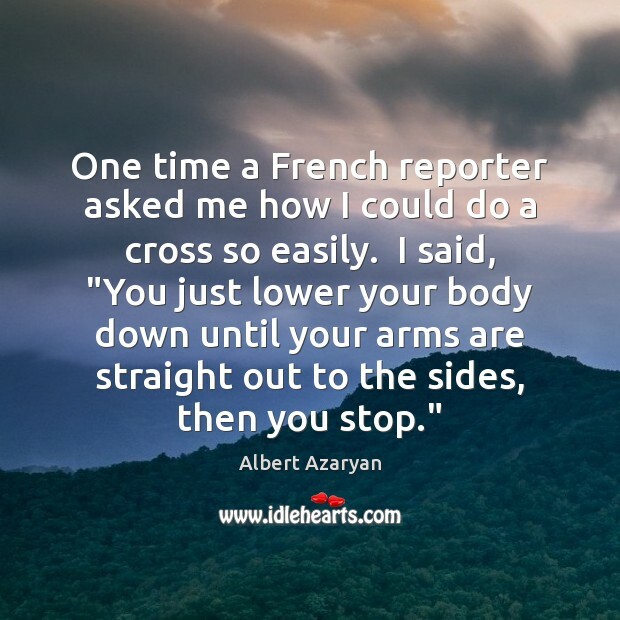 One time a French reporter asked me how I could do a cross so easily. I said, "You just lower your body down until your arms are straight out to the sides, then you stop." 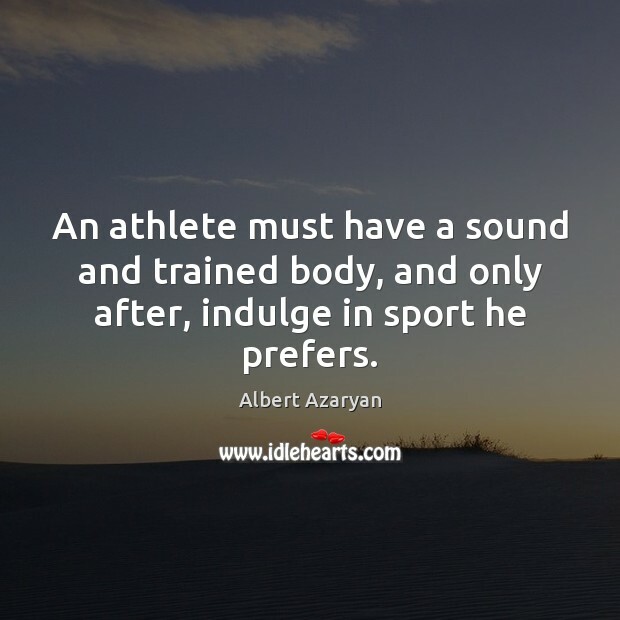 An athlete must have a sound and trained body, and only after, indulge in sport he prefers.